Our chefs have put together a couple of tasty sandwiches and soups that will put a smile on your face. Our hamburger menu is incredible: We start with more than a 1/2 pound beef patty, then we top it off with lettuce, tomato, onions, melted cheese, bacon, ham,pineapple, avocado, fried egg, sauteed mushrooms, and then finish it off with barbecue sauce, American style ketchup, mayo, and mustard. It comes served with a pile of freshly prepared french fries. This is an American style burger that is impossible to find anywhere else in Cusco. Make sure you bring your appetite! We cater to those that want a comforting taste of home. We serve a hearty traditional American style breakfast, Belgian Waffles, Cakes, Specialty Teas, Coffee, Ice Cream Milkshakes, and fresh squeezed Orange Juice. We also have all of our drinks to go( kind of hard to find in Cusco). 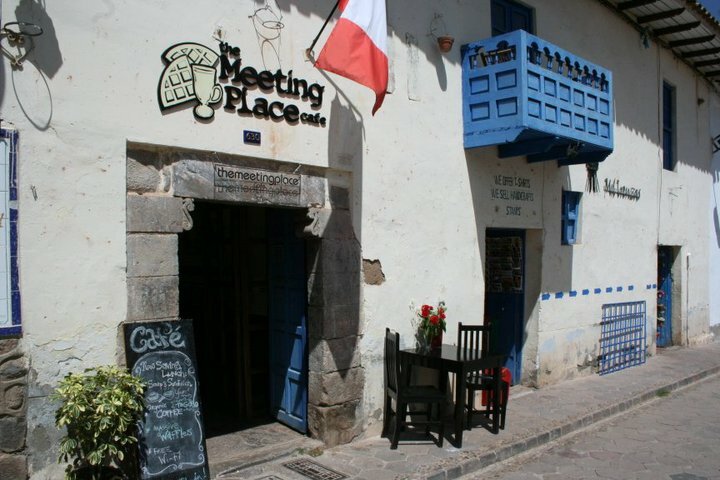 We offer free WIFI and a comfortable place to hang out and enjoy the historic Plaza San Blas.